Marlin Henry "Mott" Stuart, born August 8th, 1918 in Paragould, AR was a professional baseball player from 1940-1956. Stuart pitched in eight major league seasons for the Detroit Tigers, St. Louis Browns, Baltimore Orioles and the New York Yankees. Stuart grew up on his family's farm 8 miles outside of Paragould, AR. His father Ab was a former semi-pro catcher and was able to teach Marlin the fundamentals of the game. As a boy, Marlin chucked hickory nuts at squirrels, building up a strong pitching arm. Stuart played semi-pro ball in Paragould until he turned pro in 1940 with the Mayfield Browns of the class D Kitty League at age 21. Stuart was discovered by scout Jack Fournier who witnessed Stuart shutout the Paragould Browns in an exhibition game and signed him to a deal. In his first season of pro ball, Stuart pitched very well. In the last home game of the year, Stuart requested to be allowed to pitch barefoot. Mayfield management agreed, and Stuart proceeded to pitched a complete game, earning a 5-2 victory. He finished the season with a 13-14 record. After two more seasons of minor league baseball, Stuart joined the military in 1943 in wake of World War II. However, he returned to professional baseball in 1946. 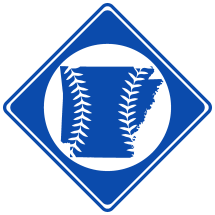 Two years later, he was assigned to the Little Rock Travelers. That year, Stuart picked up the screwball, and his career took off. He finished the season with a 15-10 record and was promoted to AAA Toledo. In 1949, Stuart was brought up the to Detroit Tigers. He made his MLB debut with the team on April 26th, 1949. During a stint back with Toledo in 1950, Stuart pitched a perfect game against the Indianapolis Indians. After four seasons with Detroit, Stuart was traded in 1952 to the St. Louis Browns. A reliever most of his big league career, Stuart led the Browns with a mere 8 victories in 1953. The Browns moved to Baltimore in 1954 and became the Orioles. Stuart pitched 22 games for the relocated team before he was selected by the New York Yankees off waivers. He pitched 10 games that year with the Yankees, but never returned to the major leagues. Stuart played three more seasons of minor league baseball before he retired. In 196 MLB games, Stuart posted a career 23-17 win-loss record and a 4.65 era. He died June 16th, 1994 in Paragould Arkansas. Major League Statistics at Baseball-Reference.com.